Support NORML: Spring Fundraising Drive Through May 31! Thank you for helping NORML help America away from cannabis prohibition and its insipid public policy results! With the most recent Gallup polling indicating a strong majority of Americans now supporting marijuana legalization (a whopping 58%), there has never been a better or more productive time in our country’s history to be a cannabis law reform advocate. 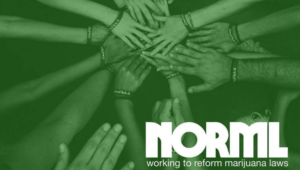 With help from our friends at FreedomLeaf, NORML is in the midst of our annual spring fundraising drive, with a slew of new NORML premiums and incentives for new and returning members. NORML’s Spring Fundraising Drive concludes at month’s end, so please don’t engage in any dillydally! 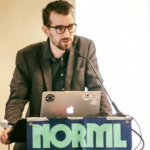 Thanks for helping to sustain and grow NORML– the oldest and largest marijuana law reform group in the world. 2016 is already the busiest year for cannabis law reformers, with half a dozen states with legalization ballot initiatives, two states with medical marijuana initiatives and ten states with legalization legislation pending. Four states down…forty-six more to go! According to a poll released this morning by the University of Delaware, a strong majority of residents favor legalizing and regulating the adult use of marijuana. The poll revealed that 56% of Delawareans support legalizing marijuana while just 39% were opposed. Individuals over the age of 60 and self-identified conservatives were the only demographic groups without majority support. Pro-legalization state Senator Bryan Townsend said he hopes this data helps compel the state to move forward on broad reforms. The data coming out of Delaware is in line with the ongoing trend to support marijuana legalization at the national level. Clearly, seeing the path blazed by Washington and Colorado has only embolden residents of other states to support similar reforms. You can read more about this poll here.